AndEx Pie s an open source initiative based on the Android - x86 project to run Android on your PC. It is compiled with Bliss sources – the Android-based open source OS with many customization options and security features. AndEX Pie 9.0 Build 190326 is now available. For those new to it, it is an open source initiative based on the Android – x86 project to run Android on your PC. The news comes from the developer Arne Exton where he says he has updated the latest Android 9.0 Pie in the AndEX project, allowing users to run Android 9 Pie on their computers. AndEX Pie is compiled with Bliss sources – the Android-based open source OS with many customization options and security features. All versions of AndEX are also subject to the activity and development of the Android – x86 Project. Developers can cook their own Android – x86 system according to Bliss ‘ instructions. AndEx Pie is one such build. When we talk about Android, who can forget those thousands of Android Apps out there, but in AndEX project, Google Play Store and any GAPPS (Google Apps) is not available yet. 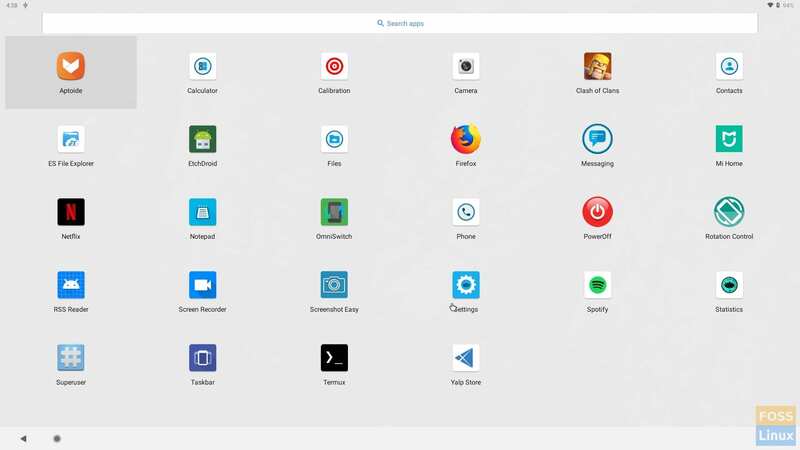 There are still a variety of popular apps available, including Aptoide’s app manager, Mozilla Firefox’s web browser, Clans Game Clash, and several other useful utilities. This is possible through Aptoide, which is a good replacement for the Google Play Store for installing more applications. AndEX Pie seems to work well on the hardware side of things with nearly every new modern computers. “My new Android – x86 64 system (Pie 9.0) can run and install on nearly all newer laptops (and certain desktop computers).” said, Arne Exton. If you like your Android phone and all the apps you’ve installed on it, you may like running apps from your laptop for a better experience. You get a larger screen and better sound, etc. 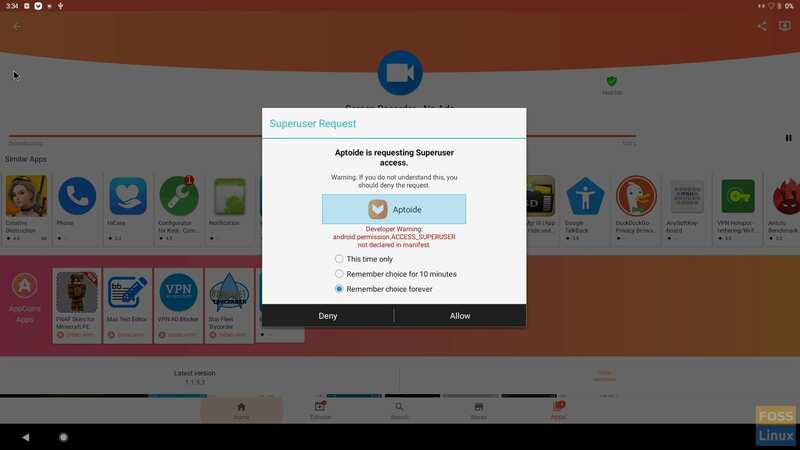 Moreover, Aptoide App Manager can install a lot of new apps and games in the latest AndEX Pie Build, implies you can even install very large games (about 1 GB), but yes, almost all of these games need a touchscreen. The AndEX Pie system can be run live directly from a USB stick or installed on your computer or on an external USB drive. Also, AndEX Pie can be installed on a disk drive alongside another Linux distro. The developer provides installation details here. You can also run AndEX Pie Build 190326 in VirtualBox and VMware as a Live environment. However, according to the developer, the installation doesn’t work as of now. The developer points out that the build is not free from bugs. You may get an error message while attempting to start Netflix when running AndEX Pie live in the VirtualBox or VMware. The solution is to try again a few times and/or wait some minutes. After that, everything is going to be OK. Netflix works without trouble from the hard drive with great video and sound. 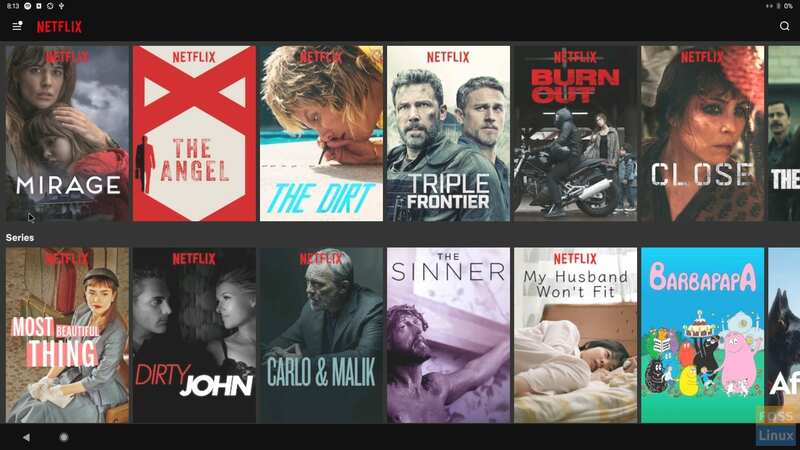 The developer warns no to try upgrading Netflix. No other version will work except the one pre-installed.